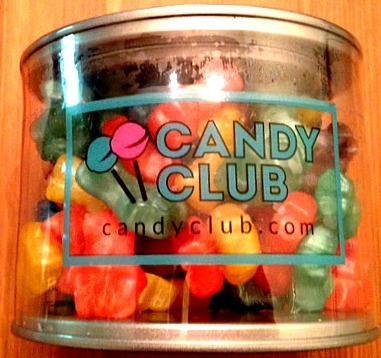 Review and Discount for The Candy Club! I am now about 6 months pregnant and finally have an appetite. Before this month though the only two things I really craved were candy and soda but I tried not to give in to those cravings, that much, to try and stay healthy for the baby but after a while there is only so much avoiding you can do and I finally gave in! 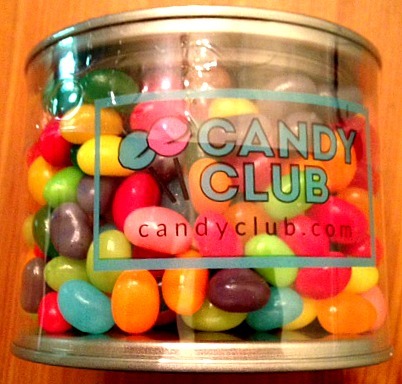 I found a company named The Candy Club. I didn’t know exactly what candy I wanted because I was craving so many kinds so I thought this would be a good way to go and I could get just a one month box and share with my family and not have to buy any more candy the rest of my pregnancy! 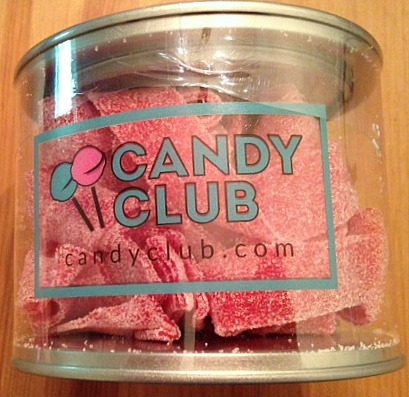 The Candy Club is a monthly premiere candy of the month club. You can sign up for a one month subscription, 3 months, 6 months or 12 months. Which ever one you choose you will get a box of 2-3 lbs. of candy once a month for how many ever months you chose. This is the box that came for the month of August. 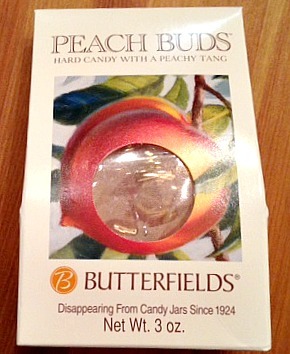 There were four different kinds of candies and they were all pretty good. One thing I would have liked is if they had more variety and maybe a little bit of chocolate because all the types of candy were on the sour side which I love but I also like a bit of variety. 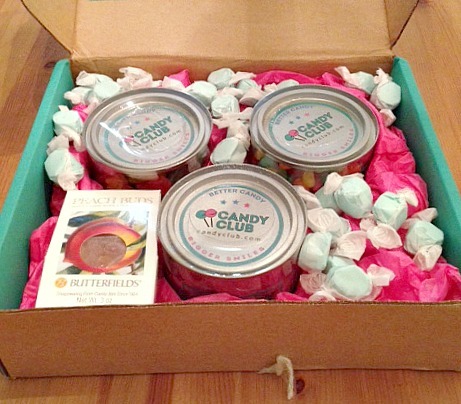 A cool thing about this company is that they use brands of candy that everyone loves and I love the little tins that the candy comes in! You also get enough candy to last through the month or longer as long as you eat it a little at a time and not try to eat it all at once, you would probably get sick if you tried to do that! · Receive 35% off their first month’s payment by using the code 35offjs2b05. · Receive 35% off of a full, one-time payment by following this link: http://ow.ly/AATem. Total savings = $10.50 off the 1 month plan, $26.24 off the 3 month plan, $48.28 off the 6 month plan, and $83.96 off the 12 month plan. Enjoy some candy, you deserve it every once in a while!